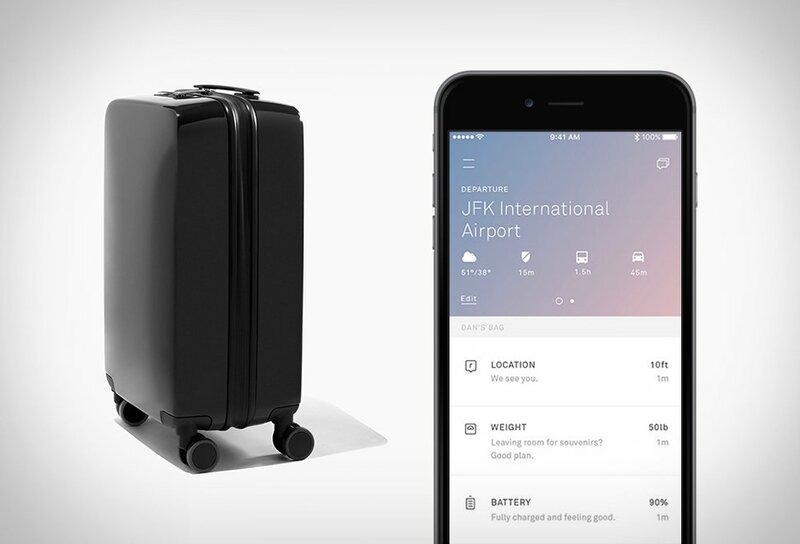 The Raden Smart Suitcase aims to take your traveling experience to another level turning your suitcase into a smart device. So what makes the difference? Well, first of all you get an app that goes with it that´ll connect to your smartphone always keeping you aware of its whereabouts through Bluetooth connection, you also get an integrated scale that uses the handle to let you know about the weight you carry, and finally an integrated battery with 2 USB and 1 micro USB ports to power up your devices, you can get a full charge up to 4 times. So, modern power needs are covered, and you get the peace of mind because you´ll always know where your suitcase is. Just choose between the two available sizes – the 22” carry-on ($295) or the 28″ checked case ($395) in eight different colors.